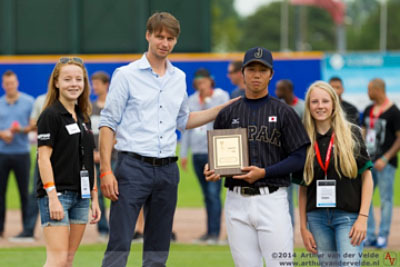 HAARLEM, The Netherlands - The USA Baseball Collegiate National Team defeated Japan, 6-3, to win the championship game at the 27th edition of the Haarlem-Honkbal Week at Pim Mulier Stadium on Sunday. 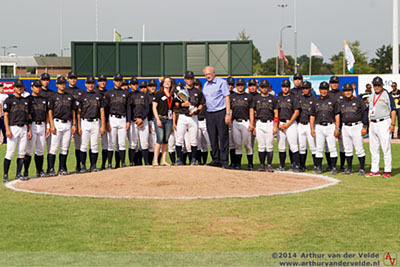 The Honkbal Week championship is the fourth in the history of the USA Collegiate National Team, having previously won the title in 2000, 2002 and 2008. It now holds an all-time record of 29-5 in the tournament. Three U.S. players earned individual awards with Chris Okey (Clemson) claiming the "Carl Angelo Most Popular Player" award, Christin Stewart (Tennessee) taking home "Best Hitter" honors and Alex Bregman (LSU) being named the Honkbal Week Most Valuable Player. Team USA jumped out in front in a hurry, taking a 1-0 lead in the bottom of the first inning. Following a one-out walk to Christin Stewart the U.S. executed a hit-and-run to perfection with Mark Mathias (Cal Poly) lining a single to center to put runners on the corners. A passed ball then allowed Stewart to trot home from third to score the game's first run. 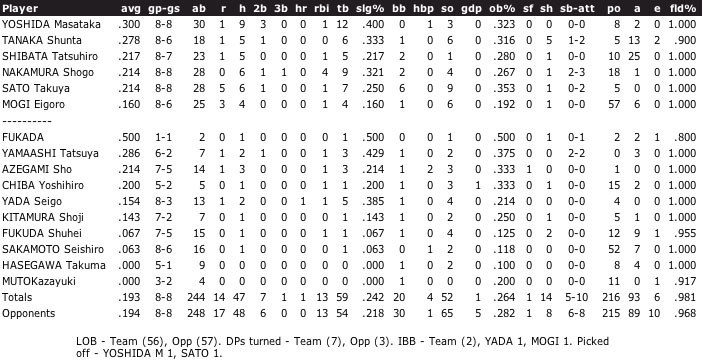 Japan, meanwhile, put two base runners on in each of the first three innings, only to see Funkhouser work out of the jam unscathed all three times. The U.S. then pounced in the bottom of the fourth, scoring three runs on five hits to take a commanding 4-0 advantage. The big blow came from Banks who plated a pair of runs with a single to left-center. He would come around to score just moments later on an RBI single by Okey. 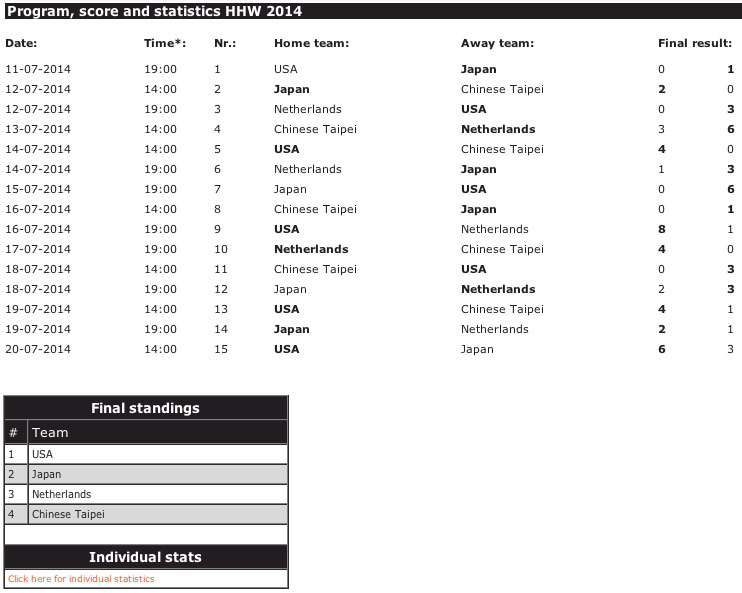 Japan got two of those runs back in the top of the fifth, however, as it cut the U.S. lead in half. The first run came in from second when a single to the right side of the infield was misplayed before an RBI groundout made it a 4-2 ball game. Team USA pushed its lead up by a run in the bottom of the sixth thanks to some creative baserunning. With runners on the corners and two outs, Blake Trahan (Louisiana Lafayette) took off on a delayed steal for second. Japan threw down but Trahan avoided the tag on his way back to first base, allowing Bryan Reynolds (Vanderbilt) to scamper home from third. Just after that play, a throwing error on a pick-off play would move Trahan to second before Okey's second RBI single of the afternoon brought him the rest of the way around the diamond to put the U.S. ahead by a 6-2 count. 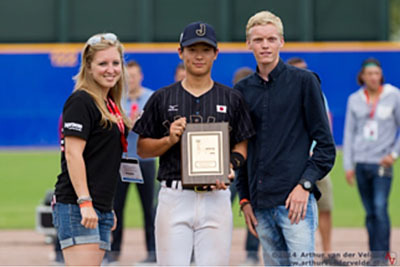 Japan scored once more in the eighth but could not get any closer as Team USA closed out the game in the ninth to claim the Honkbal Week championship. The U.S. will next be in action when it travels to Cuba for a five-game series, June 23-27. The first two contests will take place at Victoria de Giron Stadium in Matanzas, while the last three will be played in Capitan San Luis Stadium in Pinar Del Rio. Home Run King Seigo Yada. 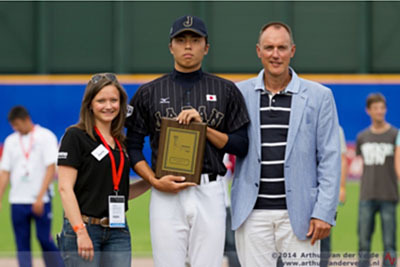 Best Defensive Player Tatsuhiro Shibata.